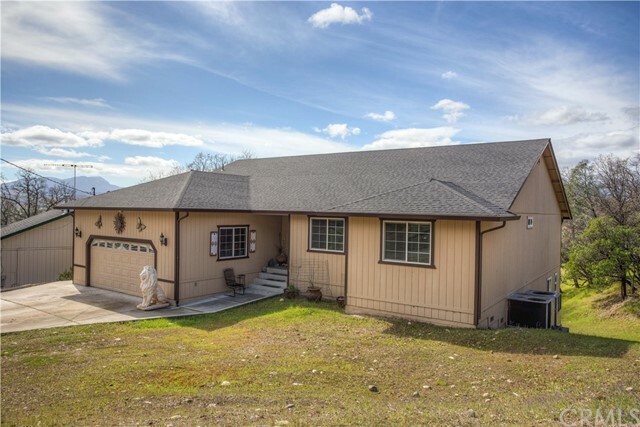 All Hidden Valley Lake homes currently listed for sale in Hidden Valley Lake as of 04/19/2019 are shown below. You can change the search criteria at any time by pressing the 'Change Search' button below. If you have any questions or you would like more information about any Hidden Valley Lake homes for sale or other Hidden Valley Lake real estate, please contact us and one of our knowledgeable Hidden Valley Lake REALTORS® would be pleased to assist you. 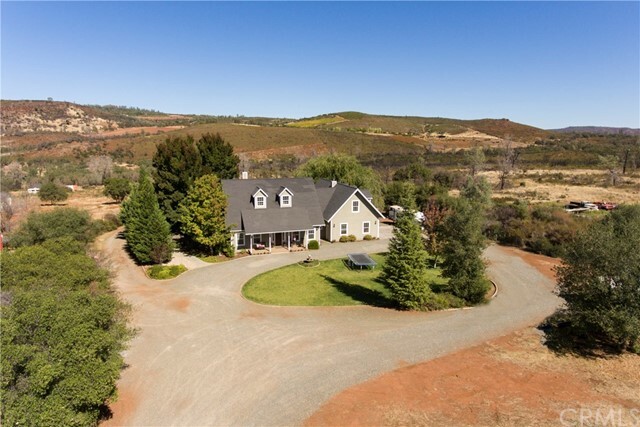 "Stunning Custom built Honey Hill property first time on the market located in the Hidden Valley Ranchos area (No HOA) on 4.84 acres. 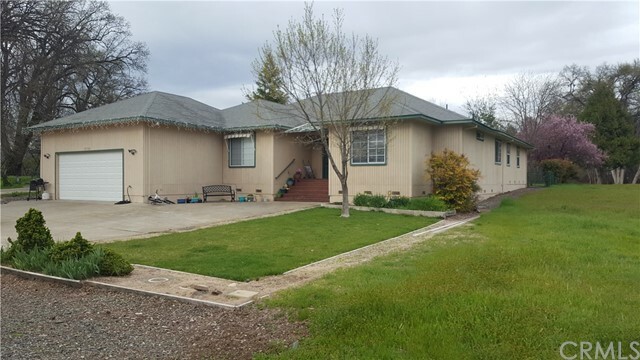 This 2 story home has it all and the property has gated entry , circular driveway , plenty of parking, Rv hook ups, and out buildings . Walk inside entry with hickory floors through out, formal dining room , vaulted ceiling living room with wood fireplace , open kitchen island with plenty of room for entertaining , all new appliances, Cherry cabinets, pantry, additional seating dining area off kitchen with plenty of window to enjoy the outdoors. Big walk in laundry room with counters, sink and plenty of cabinets. Master suite separate and has double French doors to back yard to enjoy, master bathroom has double vanity sinks, sep. tub , walk in shower, oversized walk in closet with cedar floors. Other side of home has another master bedroom with walk in closet, and full bathroom. Across is bedroom and full guest bathroom. Upstairs is 4th bedroom, little family room area and could be office/den area. 2 car garage . Outside is kids playhouse (2story 8X14), walk down to pool area and start entertaining with in ground pool, newly built bar area (pool house 20X24) that enters into sleeping area with bedroom, full bathroom and kitchenette. Horse shoe area just added, fully landscaped front and back yard, Property extends back for animals, RV hookups in back. 4 bedroom, 3 bathroom, 3063 sqft." "Lake front Luxury! This home sits on two lots with 50ft+/- private beach. The beautiful, expansive, lake facing windows; and the multiple decks allow you to take it all in! Whether you want to relax inside, or enjoy the lovely outdoors, this home has a perfect place to do it all. Natural light abounds through out, yet the large wooded lot affords each room privacy. Lovingly remodeled with many elegant touches. An incredible master suite features views of the lake from the bedroom and jetted soaking tub, spacious walk-in shower with multiple shower heads, and separate his and hers walk-in closets that feel like rooms of their own. Another bedroom has its own private deck and courtyard with a tranquil waterfall. The large downstairs has a separate living space, bedroom, bath, office, wine cellar and is plumbed for possible wet bar. There are several sliding glass doors providing separate access to more decks and the back yard. Enjoy soaring ceilings, artistic tile and iron work, granite countertops, rich uniform cabinetry, crown molding, custom lighting, both large open and smaller more private decks, wide hallways, roof sprinkler system and so much more. From the beautiful teak front door to the private boat dock this is a gorgeous house! Hidden Valley Lake is a gated community with 24hour security, 102 acre lake, 18 hole championship golf course, community pool, equestrian center, parks, trails and more. Come and Enjoy!" 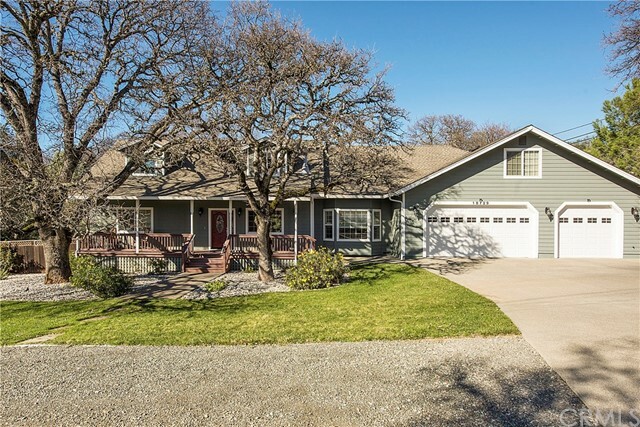 "BEAUTIFUL WINE COUNTRY CRAFTSMAN HOME in a GATED GOLF COURSE COMMUNITY. This 4200+ square foot, 3 bedroom/4 bath home boasts every amenity you would expect in a home of superior craftsmanship created by the owner-builder: 9' ceilings throughout, tankless hot water heater, in-floor zoned radiant heat, solid 3/4 oak hardwood floors, a dumb waiter that goes between the oversized garage and the kitchen. The chef's kitchen has maple cabinets, granite countertops, stainless steel appliances, a 9'x4' maple island, built-in double ovens, 5 burner cook top, two pantries, pull out storage and a breakfast nook. 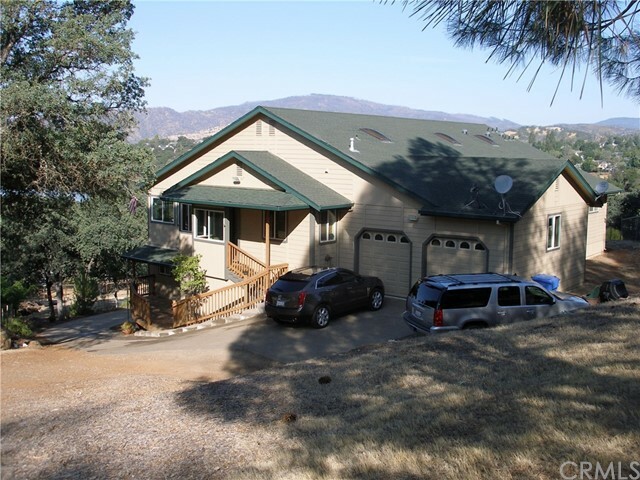 All appliances are included, With transom windows to bring in additional light to every room of this lovely home, you also have great wooded mountain and panoramic views from the two 55' covered decks. The master suite features a gas fireplace, walk-in closet and Carrera Marble appointed bath with double vanity and deep soaker tub. In addition, this home has a spacious family room/man cave, a laundry/sewing room with loads of storage and counter space, a private office (could be 4th bedroom), an additional exercise/hobby room (could be 5th bedroom), utility room and a wine cellar. 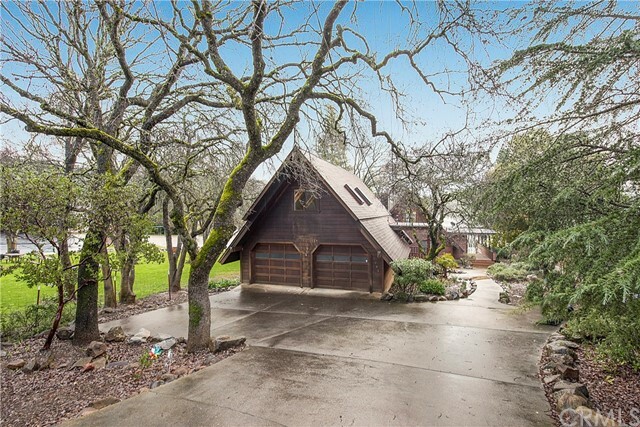 Put it all together and you have a special home great for entertaining family and friends that is also only minutes from the great wine regions of Napa and Sonoma Counties. Come and see. YOU WILL BE IMPRESSED." 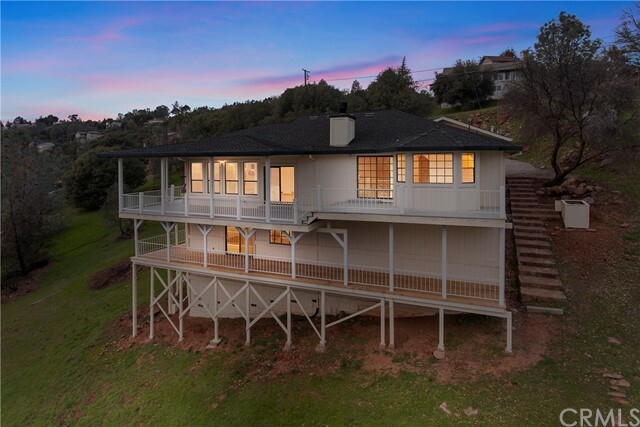 "Original owners of the meticulously maintained home with breathtaking views! 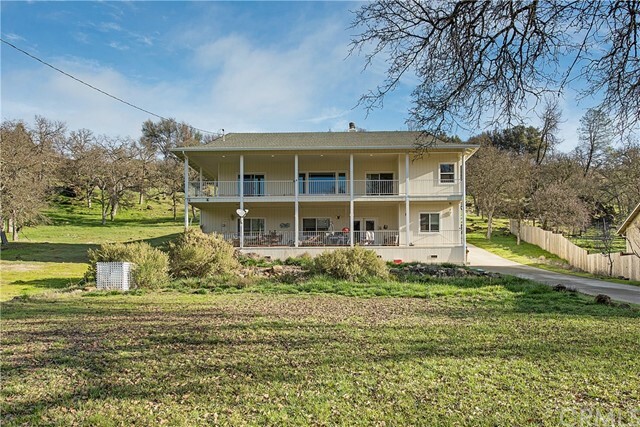 Gently sloping, terraced property with beautiful manicured areas of oaks and cleared level areas below perfect for planting a garden or vineyard. 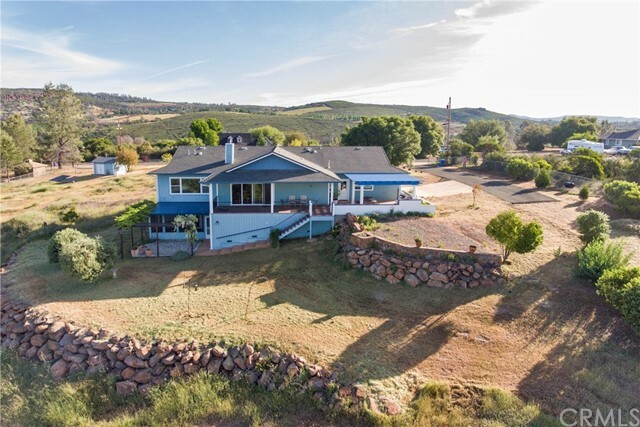 This lovely Rancho home sits on top of Honey Hill with over five acres of fenced and crossed fenced property. A sense of serenity is created by the simple, yet elegant design and many special features. Such as: extra wide doors and hallways, custom designed kitchen cabinetry, a lovely fireplace with raised hearth, vaulted living and dining room ceilings. All of these touches contribute to an open free flowing feel. A large master suite features a spa-like bath and is a retreat of it's own! Step out onto a spacious covered deck to an outdoor kitchen, perfect for entertaining or quiet dining as you enjoy the clean Lake County air, great weather and spectacular sunsets. If all that's not enough, there is a guest cabana with an outside entrance, screened porch and small kitchen. This property is designed to be energy efficient and easy to maintain with a full house exhaust fan, R39 insulation, wide overhangs, timed heating and cooling, grid connected solar panels, rain catchment system and environmentally minded landscaping, gated and paved drive. It is zoned RR. Perfect for planting an olive orchard or keeping horses on your own property. A piece of paradise, close enough to the big city for a day trip and far enough removed for peace and tranquillity ." "Equestrians delight with over six acres fully fenced and ready for your animals. 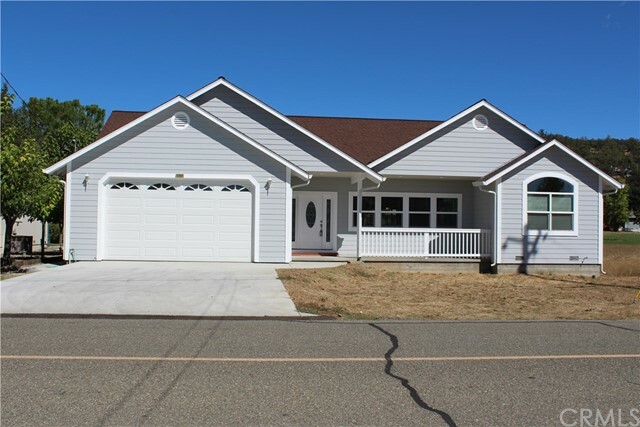 3 Bedroom Plus bonus room, office, or 4 th bedroom 2 bath Custom built home with tons of charm and curb appeal. Six stall 36 by 36 North Coasts barn with stall mats and cement floors, multiple turnouts, Loafing shed with storage compartment, Round pen, multiple wooden corrals, and fenced turn-outs. Spacious master suite with own on-suite bathroom. Charming bathrooms with farmhouse touches. Over sized tub and walk in closet. Adorable Country Kitchen with large Island for entertaining and Jenn-air Range built in. Hardwood floors and Tile throughout. Vaulted Ceilings, lots of windows, and natural light. Cozy Radiant heat flooring, wood burning stove, and central heating and air-conditioning. Double french doors off kitchen and downstairs bedroom for easy outdoor enjoyment. R 60 insulation in Roof R 30 insulation in walls! Energy efficient home. Enjoy watching the wildlife from your front and back redwood decks while drinking tea. Long Concrete driveway with wrap around concrete path and retaining wall. Plenty of parking for equipment and guests. Rear patio surrounded by majestic Oaks for shade and privacy. New exterior paint in 2016. Fully landscaped yard with mature Oaks. Spacious 3 car garage! Remote gate entry. Walking and riding paths at rear of property." "DREAM CRAFTSMAN-STYLE .87 ACRE HIDDEN VALLEY LAKE ESTATE - From the pages of Southern Living comes this charming & spacious home. 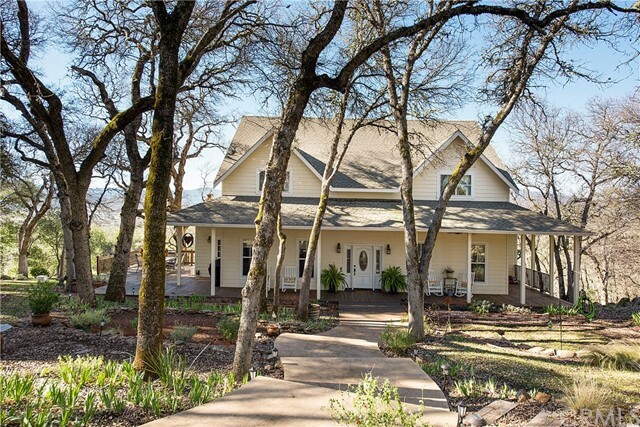 Spend summer evenings sipping lemonade from the comfort of your covered front porch, or host a tasting of local wines while soaking in the expansive valley & vineyard views from the rear deck or side patio. Comfort & style abound throughout this home with 10' ceilings downstairs, a welcoming family room, an entertainer's living room with wood-burning fireplace, wood-cased windows, and a grand kitchen & dining room with unrivaled views. This sprawling home provides plenty of room for the entire family with the luxurious master suite ~ complete with private back deck entrance, dual vanities, soaking tub, step-in shower & massive walk in closet; a bonus room (fifth room - no closet) & a half bathroom downstairs, and another three large bedrooms - each with oversized closets & more tremendous views, & two more full bathrooms upstairs! Tucked away on one of the most desirable cul-de-sacs in Hidden Valley, this home offers a generous front & side yard with multiple seating & entertaining areas, beautiful landscaping and garden area & wonderful privacy! There is a detached 2 car garage plus plenty of off-street parking. Call today!" "LAKEFRONT ESCAPE! 4 Bed, 3 Bath home has approximately 2237 square feet built in 1987. Right next to the park, this chalet style home features non-stop water views from floor to ceiling two story windows and all the charm you d hope for so you feel like you re on vacation every time you open the door! Inside there s an open floorplan with soaring wood ceillings, a cute sunroom, bonus space over the garage and more! Hidden Valley Lake subdivision amenities include: Beautiful private swimming lake recently stocked for fishing, Olympic sized pool, eighteen hole championship golf course, horse stables, dog park, tennis courts, restaurant and lounge, nearby schools, shopping and so much more! Just 20 miles from Calistoga and Northern California s lovely Napa Wine Country and 40 miles from Santa Rosa. Take day trips to different lakes, drive Silverado Trail, visit local wineries; so much to enjoy, visit and do!" 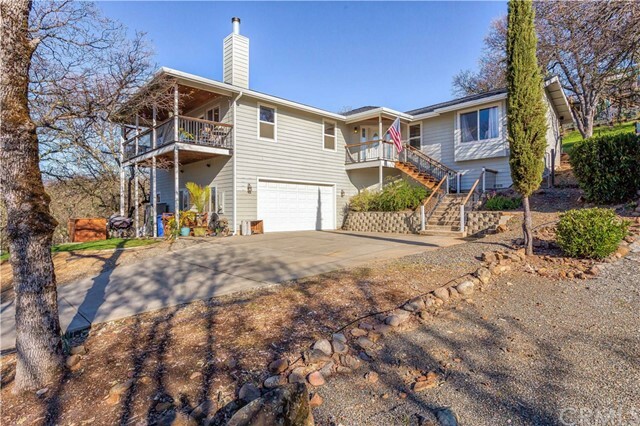 "This 2 story lake view home is on over an acre at end of cul de sac. Home is over 3200 sq ft with 4 bedrooms, 5 1/2 baths. Main level walls are Italian plaster finish; living room w/coffered ceiling, 2 ceiling fan lights, skylights, slate floor, door to wrap around sun room. Living room centered around the office w/slate floor and ceiling fan light; half bath w/tile floor; Library w/slate floor, ceiling fan light and skylight; dining area w/slate floor, french door to rear cov deck, wine closet, sklight; large kitchen with slate floor, veggie sink, JennAir propane cooktop w/BBQ, double oven, dishwasher, glass upper cabinet doors, 2 ceiling fans and tile backsplash. Hall has slate floor, washer/dryer closet, built in ironing board. Rear bedroom has its own bath with tile floor and vanity, tub shower combo with tile surround; bedroom has tile floor, ceiling fan light and door to rear deck. Bedroom 2 carpeted, french door to sun room, ceiling fan light and skylight with coffered ceiling, walk in closet plus its own bath with tile floor and vanity with walk in tile shower. Master bedroom completes the upper level, carpeted, coffered ceiling, ceiling fan light, door to sun room. Master bath has large walk in tile shower, tile floor, jetted tub with tile surround, tile vanity and bidet. Lower level features kitchenette with elec cook top, living room area, bath with tile floor/walk in tile shower; bedroom with carpet, separate bath and door to side deck--room for Granny?" "Custom home, Builder owned and beautifully maintained! Elegant 4 bed 3 bath home in the desirable Hidden Valley Lake CA gated community. Fabulous floor plan offers 2 MASTER SUITES , large living room with Cathedral ceiling and Granite Corner Fireplace, Dining Room with Chandelier and a wall of over-sized sliding glass doors to the Patio. The Large Master Suite offers a gigantic Master Bath including huge custom Jacuzzi Tub, separate glass shower, and separate Vanity. Solid oak cabinetry & Granite in the Spacious Kitchen, and all 3 full baths. Tongue and groove oak flooring and granite entry foyer. Fantastic views of the golf course fairway and the 8th putting green. Golf cart parking in the garage which opens directly to the golf cart path. Room for RV/boat parking, and 7-8 additional cars, along with easy care landscaping. Enjoy fishing, championship golf course, wildlife, swimming, tennis, and Stables to keep your horses close to home. Seller offers 1 year Home Warranty and SELLER FINANCING with large down and approved credit. You will not find such extensive custom features at this price and location!" "Beautiful, 2 story craftsman style home overlooking the golf course with over 2350+-/ SF, 4 bedroom, 2.5 bath, and great room. Soaring ceilings accented with crown molding throughout add the finishing touch. 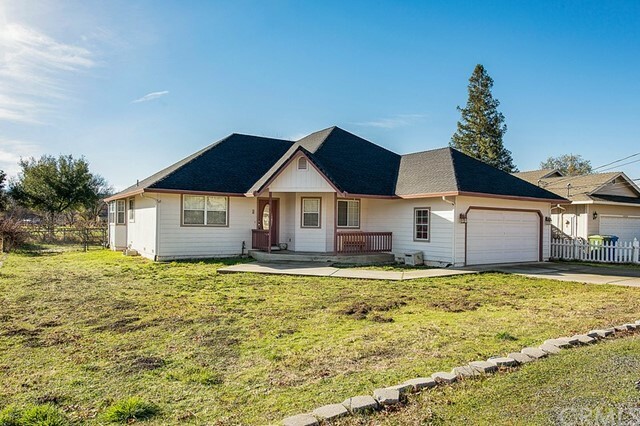 Central location makes it easy to get to school or to highway 29. Designed with entertaining in mind, thoughtful floor plan maximizes living space. Formal foyer welcomes guests to the great room complete with fireplace, breakfast bar, pass through window from kitchen to living room area making a great place to interact with guests. Kitchen features slab granite counter tops, 5 burner gas stove, built in microwave and oven, and double sink with disposal and adjacent dishwasher. Privacy floor plan with master bedroom opposite of guest rooms. Master bedroom features walk in closet, double sinks, jetted tub and large walk in shower. Two downstairs guest bedrooms with full bath, plus upstairs bedroom and access to attic storage space. Welcoming classic front porch with pillars to enjoy warm summer nights outdoors with covered back patio for outdoor entertaining. Front yard has been tastefully landscaped with sod lawn complete with built in sprinkler system and redwood tree for year around shade. Sprinkler system is on a timer and automatic. White picket fence makes the back yard pet friendly. Large black and white tiled garage with lots of driveway parking including extra space for RV or boat. This home will not disappoint!" 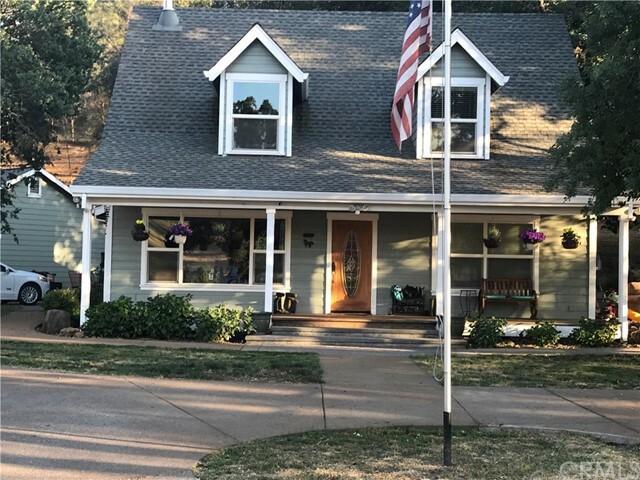 "Spacious Hidden Valley Lake home with full separate granny unit (1 bd/1ba with living room, full kitchen and walk in pantry, 900 sqft. ). Drive up driveway to 2 car garage and entry level access to main home with hardwood flooring and open kitchen with granite counters and living room with fireplace, slider to covered back deck . down the hall is laundry room, 4th bedroom or office with closet and full separate bathroom (has slider that can have separate access to top deck or head out to car), then door to garage. Off living room is another hallway that leads to 2 bedroom, full bathroom, and master bedroom with slider to back deck , big walk in closet, master bathroom with granite counters, sunken in tub, separate shower. Ceiling fans in every bedroom. Granny unit is accessed from outside and completely separate. 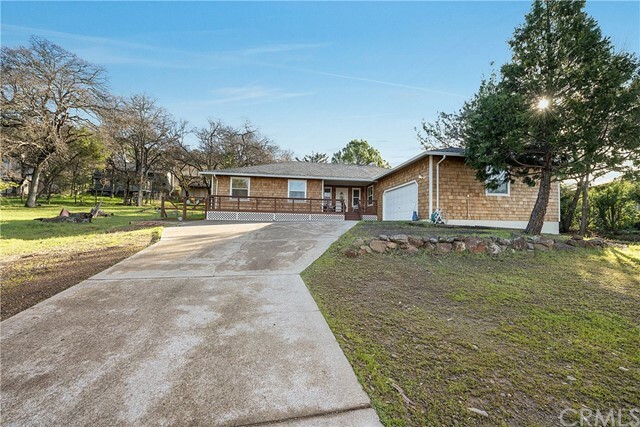 Home is close to Hidden valley lake dog run area and Hidden Valley lake horse stables. Main home is 3 bedroom plus 4th bedroom or office, 3 baths." "Beautiful, immaculate home in Hidden Valley Lake! This 3 bedroom, 3 bathroom home sits on a large, level corner parcel and is close to the lake. Attached large 3 car garage and plenty of parking space in driveway. Move in ready and shines inside and out! You will love the covered front porch that looks over the well manicured front yard. Interior of home features a welcoming open living room with crown moulding, wood floors, gas fireplace and access to back yard. You will love the grand kitchen complete with center island / new butcher block counter, cherry cabinets with pull outs, stainless appliances, built in desk area and ample sized dining area. Off the kitchen is a laundry room, incl. washer/dyer with storage cabinets a full bathroom and interior access to the garage. The master suite is on the main level and is spacious! Featuring crown moulding and a generous sized walk in closet. Master bathroom comes with dual vanity, tile flooring, jetted tub and separate shower with dual heads. The upper level features include: 2 guest bedrooms, full bathroom and additional room ideal for an office or game room with easy access to the attic. 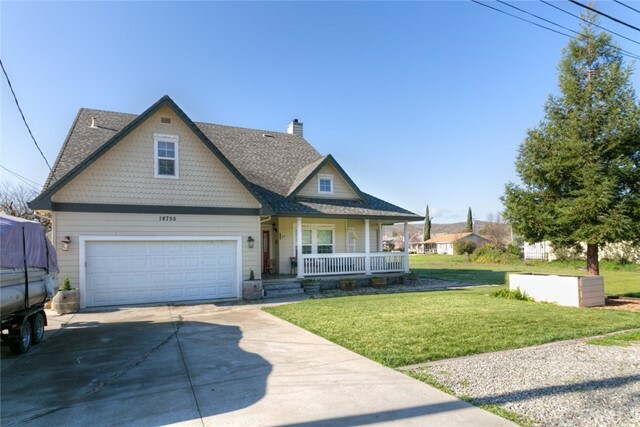 When you are relaxing on the covered back deck you will enjoy the fenced, landscaped yard complete with lush lawn area, storage shed, crushed granite grounds and planted pots equipped with drip irrigation. On the side of the house there is a separate fenced area with concrete pad. Make an appointment to see this amazing home today!" "Are you looking for an extra large home in Hidden Valley Lake? Multi family potential or let the rent pay your mortgage? Enter upper unit into a modern open floor plan with vaulted ceilings in the living room, gorgeous large kitchen boasting granite counters and upscale appliances. The kitchen flows into the formal dining room with gorgeous views of the surrounding mountains and valleys. Master suite shares vaulted ceilings, an expansive walk-in closet and tastefully designed couples master bathroom with jetted tub and extra large two sink vanity. Two extra large bedrooms are accompanied by a spacious guest bathroom. Laundry in hallway and 2 car garage attached. Downstairs unit is accessible by a separate private entrance. Modern finishes with a very open floor plan complete this 2 bedroom, 1 bath unit with kitchen, living area, storage, laundry and private deck with more amazing views of the mountains and valley!" "ELEGANCE & STYLE abound in this new construction home that combines modern day comfort with a vintage 1920's bungalow-style detailing. Enter to find mahogany-stained, solid oak flooring; a wood-burning fireplace with mantle, built-in entertainment center & gorgeous views from the living room of the golf course, seasonal creek, hills & beyond! Dinner parties are sure to be memorable under the hand-crafted, coffered ceilings of the formal dining room. The stunning kitchen offers modern black-stainless steel appliances, granite slab counters, subway tile backsplash & a cool, butcher-block counter area. The top level includes a luxurious master suite, complete with private entrance to the top deck, a Pinterest-worth bathroom with dual sinks, granite slab counters, subway tile backsplash, custom tile floors, a soaking tub, and step-in shower, along with a massive walk-in closet. A second bedroom, another full bathroom & the laundry room - complete with utility sink - finish off the top level. Downstairs discover a large family room & media area - perfect for a home theater or office space, complete with a half bathroom and slider leading to the second level deck, with stairs down to the oversized backyard. A third bedroom, which could be a dual master suite, is located downstairs and has a walk-in closet, and full bathroom with step-in shower. With bonus under-house storage area, and an extra wide driveway providing parking for 6 cars, this house has it all! Call today!" "Welcome Home! Construction has just been completed on this gorgeous house with a privacy layout. Enter to find an open floor plan with hand hewn bamboo floors in the spacious living room and dining area with built-in wet bar and wine fridge and slider to the back deck. The kitchen boasts tile floors, granite counters with subway tile back splash, a peninsula island with pendant lights overhead, an abundance of cabinets including a built-in recycling drawer, all stainless appliances and an oversized Kohler sink. The laundry room is located just off the kitchen with tile floors, washer/dryer hookups and a pantry/cabinet. The 2 guest bedrooms are perfectly sized with plush carpet, motion sensor lighting, mirrored closets and views of the neighboring vineyard. The guest bath has tiled floors, granite counters, dual sink vanity with decorative mirror & lights and a tiled shower/tub combo. The master suite is lushly carpeted as well, motion sensor lights, and pre wired for HDMI TV. The large master bath has tile floors, dual sink vanity with granite counters, decorative mirror and lights, a large soaking tub and walk in tile shower w/glass door. Crown moulding and LED energy efficient canned lighting throughout the house, on demand hot water heater, fire sprinkler suppression system upstairs and downstairs and a 90% effecient furnace 14 SEER AC. 3 car garage is 1872sf, has florescent lights throughout and 2 man doors for easy access to the yards." "Spacious 4 bedroom, 3 1/2 bath home with large bonus room on over 1/3 acre. This nearly 3,100 sq. ft. home boasts an open floor plan with newer HVAC unit and solar panels. Master bedroom has enormous walk in closet and access to private deck. Backyard has raised flower beds, fruit trees, tree house, storage shed/golf cart garage. This home is priced to sell!" "LAKE VIEWS! 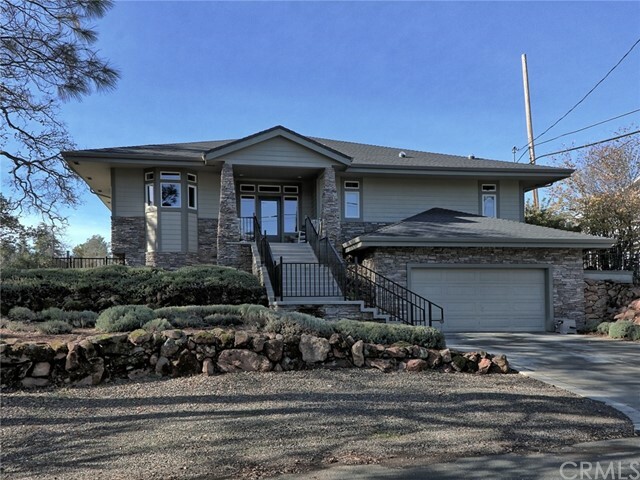 Set on nearly 1 1/2 acre parcel, this expansive home offers stunning lake & mountain views, 2 bedrooms plus an office with closet (third bedroom), 2 bathrooms, living room, dining room, & kitchen with breakfast nook upstairs, and a huge family room plus a wet bar & 1/2 bathroom downstairs. With two levels of decking, there is plenty of space for outdoor entertaining, while soaking in some of the most beautiful views you can find in Hidden Valley Lake! Tucked down a long driveway, but offering plenty of extra parking at the bottom, this home feels private & secluded. The expansive great room provides a large living room area with fireplace, step up to an oversized dining room area, and updated kitchen plus breakfast nook. The master suite has a jetted tub, dual sinks, dual closets, and a private entrance out to the rear deck. 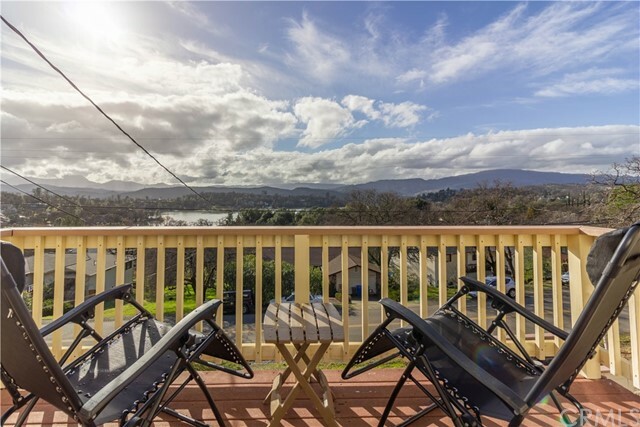 The office has a private entrance to the front deck, and can double as a third bedroom (tax records show house as a 2 bedroom plus bonus room). Downstairs is the perfect family or media room, with its own private deck, half bathroom & wet bar. Come and enjoy a sunset!" "North Shore home located in Hidden Valley Lake. Close to Marina and lake. Inside is a 3 bedroom / 2.5 bath home , open floor plan with front living room , kitchen open to dining area and double French doors to a spacious back yard all fenced and concrete patio perfect for entertaining, off dining area is a family room with wood stove , half bathroom and garage, upstairs is master suite with jetted tub, dual sinks and walk in closet, full bathroom and 2 bedrooms. Home is on .37 acre . plenty of room to park ." 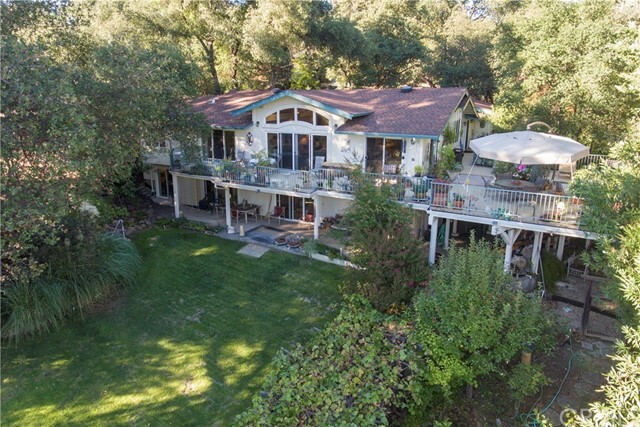 "Top of the line Hidden Valley home with amazing lake views. This home has a lot to offer with stainless steel appliances, beautiful cabinetry and plenty of storage space. Master suite includes walk in closet, separate shower and tub, spectacular Master bathroom with views of the lake. Modern kitchen with formal dining area and an expansive bonus room with deck for entertaining or just enjoying the views." "Hello Beautiful! 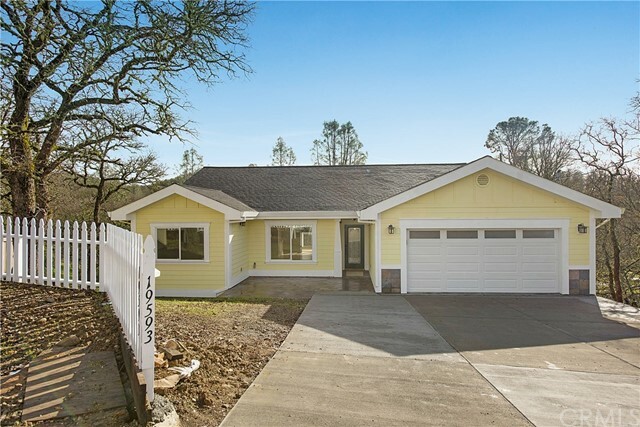 This completely renovated 4 bed/ 2 bath 2,100 sq/ft Single Level home has so much to be desired! Just a stones throw from the Marina, Little Beach, Big Beach and the Community Pool- this location can't be beat! Upon arrival, notice the eye catching new Cedar shingle exterior, an expansive driveway with loads of parking, plus an additional parking area on the side of the home for your RV or boat! 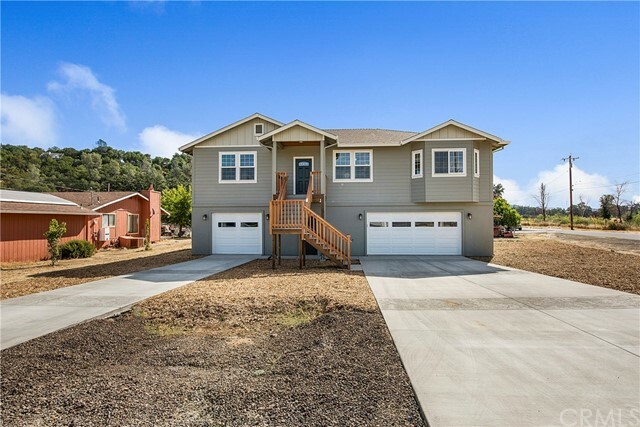 (may require HOA approval) Enter the home to find brand new laminate flooring throughout, an extra large living room with free-standing wood burning stove and a sliding glass door that takes you out to the partially covered brand new back deck, where Al fresco dining can be enjoyed! The family room is large enough to use as a 2nd living space or a spacious dining room. Kitchen with Granite countertops & breakfast bar, freshly painted cabinetry and new Stainless Steel appliances. Off of the kitchen a breakfast nook or small seating area depending on your needs! 4 spacious bedrooms, guest bathroom with lovely Travertine tile, comfortable master with a trendy barn door leading to ensuite master bath. A bonus Arizona room houses your hot tub- great for year round use! Soak in the Lake Views on your partially covered front deck, enjoying all that Hidden Valley Lake has to offer!" 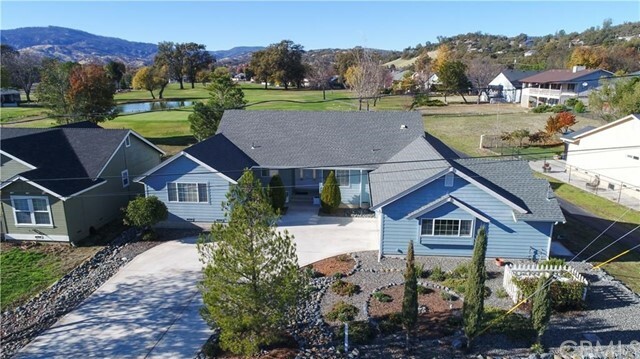 "Lovely golf course home located in Hidden Valley Lake, a gated community that offers golf, private lake, tennis, horse stables, and security. Home offers 3 bedrooms, 2 baths, and office/hobby room. Nice open kitchen with breakfast counter seating and dining area. Vaulted ceilings give this an airy, Great Room feeling. The Master suite features double sinks and double closets making this a comfortable, relaxing area with an additional door leading to the backyard. Conveniently located inside laundry room with door to the attached garage. 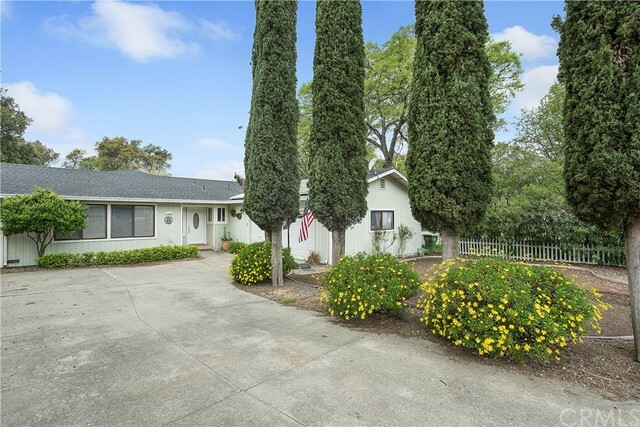 Fully fenced backyard with mature grapevines lining the fence and wonderful views of the golf course. This home offers location, excellent floor plan, new HVAC system, new range/ oven, dishwasher, and a unique roof line and front porch!" "You may fall in love with this spacious and level brand new golf course home offering many desirable features. This open floor plan, ideal for relaxing or entertaining, includes beautiful Acacia hardwood floors in the living, dining and kitchen areas, all highlighted by dramatic cathedral ceilings with fans. Great working kitchen with generous storage, pantry, convenient island, stainless appliances and gas range/oven all complemented with granite counter tops. The adjoining dining area opens to a covered patio offering year-round dining options with views of the golf course. Privately located master suite includes large, walk-in closet with custom shelving. The bathroom is killer - with BEAUTIFUL tiled walk-in shower and separate soaking tub, tile floors, granite dual sink vanity and built-in cabinet. Laundry room is indoor, and tiled as well." "Spacious home on golf course. 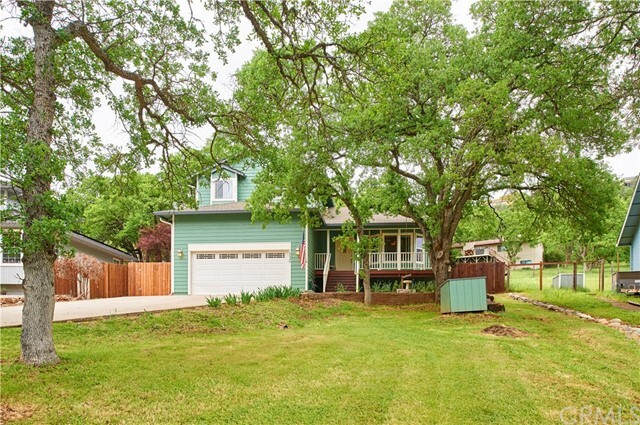 2373 +/-sf home with 3 bedrooms+den, 2.5 baths, living room, kitchen with breakfast nook. Home has genuine oak hardwood floors in many areas of the home, as well as carpet, vinyl, and tile. Living room features soaring ceilings, built in book shelf, and fireplace insert. Kitchen features a peninsula counter, Corian counters, built in cook top, dishwasher and connects to breakfast nook. Master bathroom has jetted tub, large walk in shower, toilet room, and double sinks. 2 guest bedrooms, den and 1 guest bath with double sink and shower over tub. Laundry room and 1/2 bath complete the home. Tastefully landscaped and fenced back yard with large deck over looking the golf course, perfect for entertaining and enjoying the golf course. Adjacent lot at 19738 Mountain Meadow South also for sale." "Beautiful Home with Amazing Views. 3 bedrooms, 2 baths, additional Office Space with french doors and a Bonus Room downstairs being used as a work out room. Great room has a wood burning fireplace and cathedral ceilings with access to the covered front decking. Kitchen has granite tile counters, pull out shelving in cabinets and attached utility room. 2 car attached garage. Side decking and back patio area with wood pergola. Master suite has large walk-in closet, large bay window and large bathroom with double sinks. Landscaped with raised garden beds and irrigation system. Newer irrigation system and new steps added to front entrance. New floor in bonus room and new dishwasher. This is a turn key home."